PRESIDENT Edgar Lungu has charged that democracy is being abused by the UPND which he says is causing anarchy in the name of freedom of association and he will have no choice but to take some difficult decisions should the opposition party attempt to make the country ungovernable if they lose the elections next week. “Democracy is not anarchy and if people are going to use it to maim and kill innocent citizens. I would rather choose peace than democracy and Dr Kenneth Kaunda did it to protect the peace of the country. 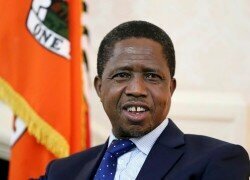 ‘‘If it means being high-handed and being dictatorial, I will be for Zambia’s peace. Even if it means deploying as many police officers on the streets of Lusaka, Ndola and Kitwe on the eve of elections, I will do so but I will not be irrational,” President Lungu said. The Head of State was responding to concerns by Lamba chiefs who told him that they were worried by UPND threats to reject the outcome of the elections which could lead to post-election violence. Nine traditional leaders from Lambaland on the Copperbelt met President Lungu this week and expressed fear that the declaration by the UPND to refuse to accept defeat meant that the opposition party was planning to cause chaos in the country. Chief Chiwala, speaking on behalf of the Lamba traditional leaders, said the chiefs were deeply concerned with the continued political violence, especially that blood was now being shed and people were being murdered on account of belonging to a particular political party. The traditional leader asked President Lungu to be strong and deal with political violence because it had become certain that democracy was being abused by some selfish political leaders. The chief said there was a real danger that there could be more violence after the general elections because some opposition leaders had declared they will refuse to accept defeat on the notion that only their political party must win the polls. “We are worried about the continued political violence and lives have been lost. We do not know what is going to happen after the general elections but our fear is that it might get worse. Some of the political leaders have vowed that they will not accept defeat and this means they are planning something. Zambians should not kill each other because of differences in political opinions,” Chief Chiwala said. But President Lungu warned that he had the powers to be high-handed and be dictatorial if the peace of the country was going to come under threat because some politicians would not want to accept and respect the will of the people. The President said while he respected and strongly advocated for democracy, he was not going to allow mercenaries of hegemony to abuse democracy to cause anarchy in the country. 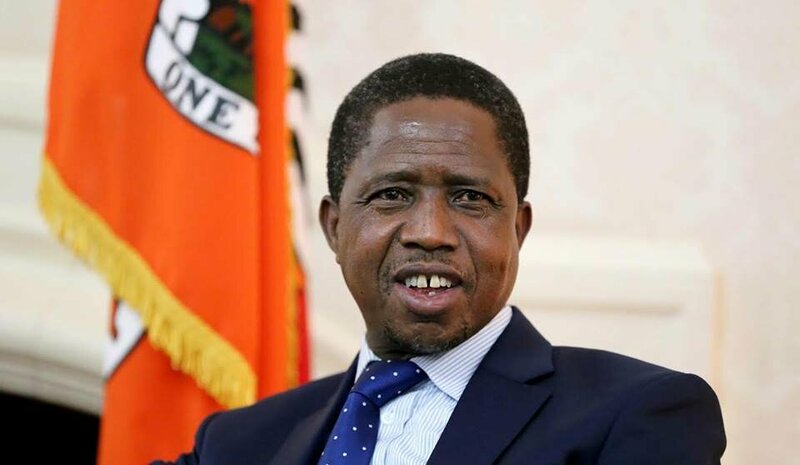 President Lungu said blood had been shed in the last few weeks in the name of democracy and warned that he would not hesitate to sacrifice democracy for peace. The Head of State said if it was going to take him to deploy thousands of police officers on the streets of Lusaka, Kitwe and Ndola on the eve of the elections, he was ready to do so solely for the sake of maintaining peace. President Lungu warned in Mufulira earlier that he was prepared to take draconian measures if the current political violence continued during and after the elections. And the President has warned the Police Command that heads will roll should they fail to bring the situation under control. Meanwhile the Lamba traditional leaders have assured President Lungu of victory and pledged that they would sensitize their subjects to vote wisely.